At the VIP Pawn Shop we buy and sell watches Nationwide and can give you the cash you need or give you a great selection of affordable wholesale to public watches from which to choose. If you are looking to buy, stop by often because our inventory changes frequently as people come to us to sell their watches. When you’re looking to sell we are your watch buyers Worldwide. 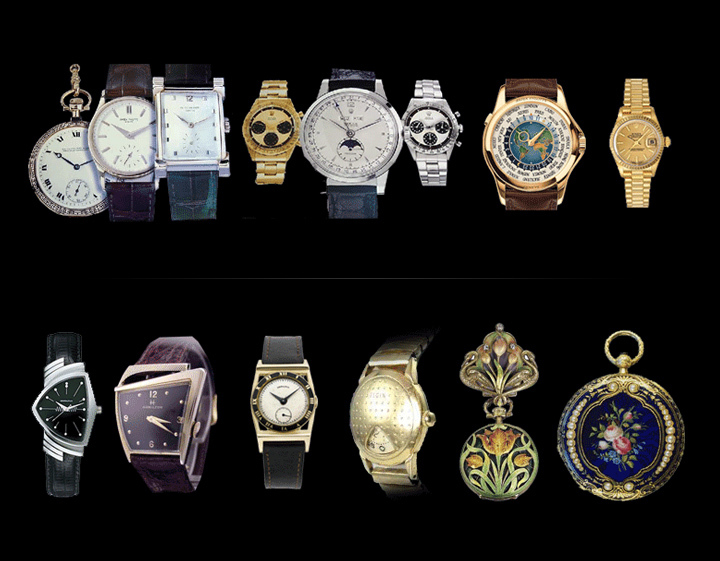 We are constantly looking to buy gold and gold filled wrist and pocket watches. At the VIP Pawn Shop we pay top dollar for them! 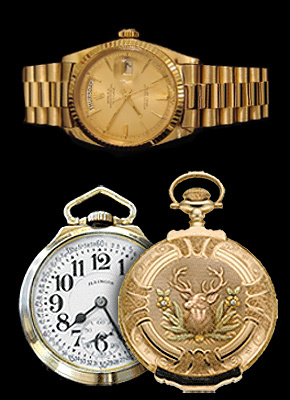 Whether it is a gold or gold filled multi-colored hunting case, railroad grade or minute repeater pocket watch, or a fine Patek Philippe, Rolex, Cartier or Vacheron & Constantin wrist watch, even a cool asymmetrical Longines or Hamilton from the 1950’s and 1960’s, we have the knowledge to be the best watch buyer in and surrounding suburbs. In our 34 years of buying we have seen almost every type of quality grade watch from simple movements to very complicated movements and functions. We buy most brands such as Rolex, Patek Philippe, Longines, Vacheron & Constantin, IWC, Cartier, Hamilton, Omega, Schaffhausen, Panerai, Breitling and other vintage and modern watches, We know all the current market values and will pay the highest cash prices for your watch or watch collection. Come in and see for yourself and get the most for your timepieces.